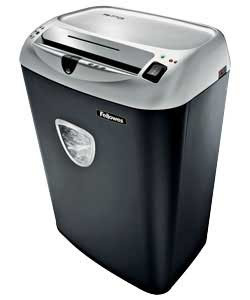 Bought a new shredder. Isn't it a beaut? Felt quite droll using the registration card for my first shred. Ha, ha, so ironical am I. Then, we went to town on the bag of accumulated sensitive paperwork. Worked pretty well, only overheated twice (it has a temperature sensor and I appreciate the heads-up...rather than other shredders which just stopped for no apparent reason). Damned if I can't find the manual now. The only disappointment was that the yolks weren't conjoined. Now that would have been amazing. 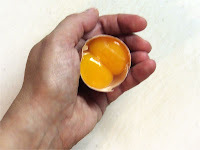 Still in all my years of baking, I've never run into a single twin (hehe) egg, so three two cheers for mitosis. 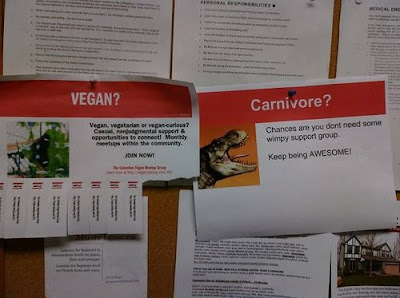 More important than the immature, yet decidedly funny, retort to the Vegan support group flyer is the alt tag to this image: soyfuckers anonymous. From the famous (I assume) passive-aggressive note I loved so much. I only regret that I haven't started the Houston chapter of Soyfuckers Anonymous. Or designed the Bacon is Life logo.